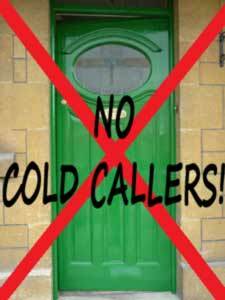 A housing estate in Uppingham, Rutland is to trial a “no cold calling” zone. A scheme to make it harder for rogue traders. The residents of The Beeches, have decided to protect themselves from traders who use cold calling methods. Such workmen are more likely to be rogue traders, with no qualifications, insurance, or (worse) no intention of finishing the job. From next week, there will be signs up at the entrance to the estate. The zone will be enforced by trading standards officers, Rutland County Council, and the local police. We welcome this idea as an excellent move towards eliminating rogue traders and cowboy builders. We would really like to see this idea expanded to other areas. By integrating it with Neighborhood Watch it should help protect vulnerable people who are often targeted by unscrupulous cowboys. As you know DIY Doctor is aiming to eliminate Cowboy Builders, by giving consumers the tools they need to avoid poor tradesmen and only employ those who want to do a good job for you. This type of initiative is really inspiring. Homeowners are taking control and showing that they are not prepared to be passed off with shoddy workmanship. “I welcome this scheme as a method of helping homeowners to avoid cowboy builders and other rogue traders. It is vital to give consumers the tools they need to protect themselves against these unscrupulous tradespeople” Mike Edwards, Managing Director DIY Doctor. Professional builders and gardeners are not likely to just turn up at your house. Most good tradesmen are busy anyway, but even if someone is looking for work if they are genuine they are much more likely to advertise locally or put leaflets through the door which allows you to make contact with them. We would never recommend employing anyone who cold calls. If you ever have someone cold calling who wont take ‘no’ for answer, don’t hesitate to call the police.